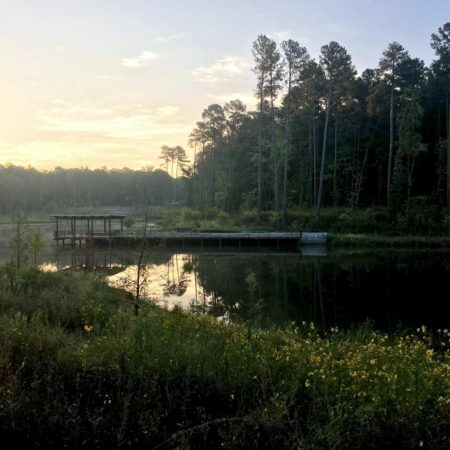 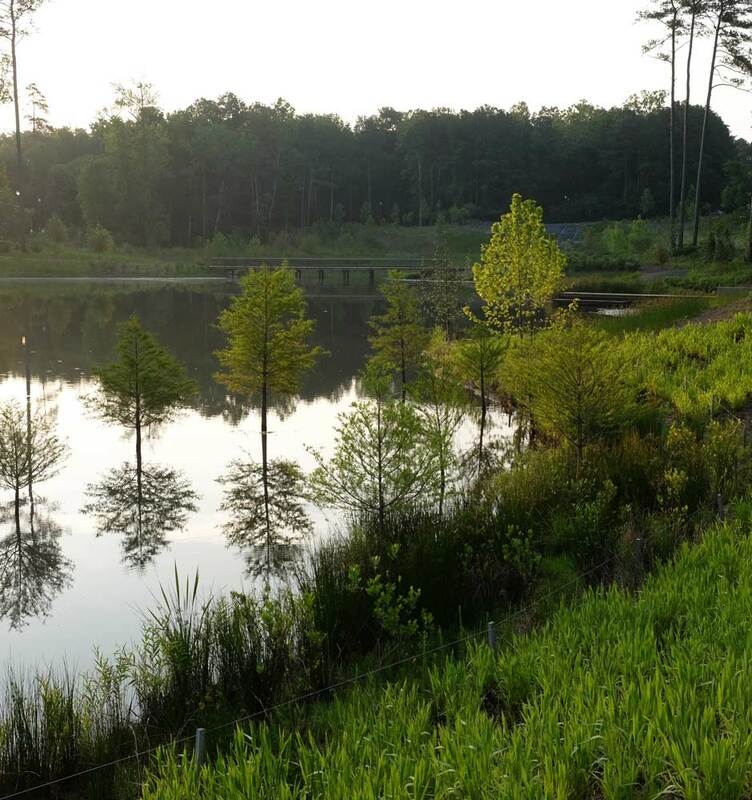 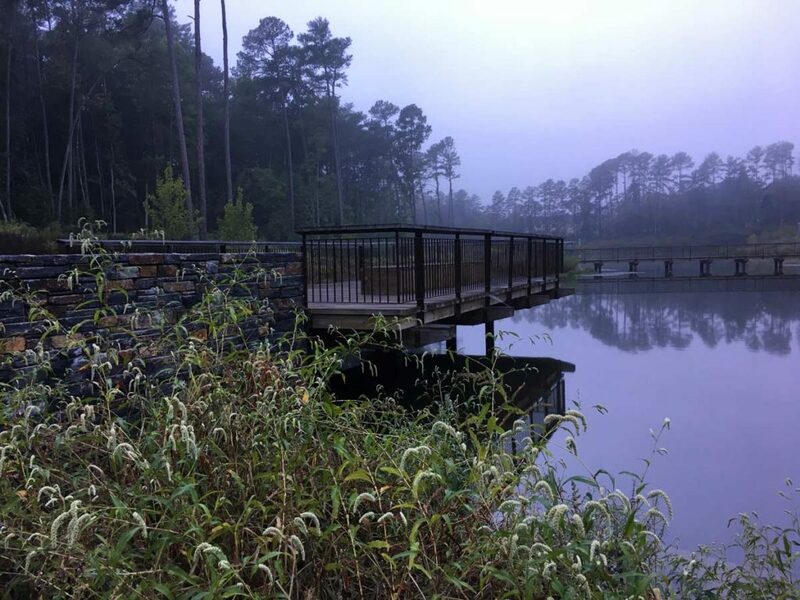 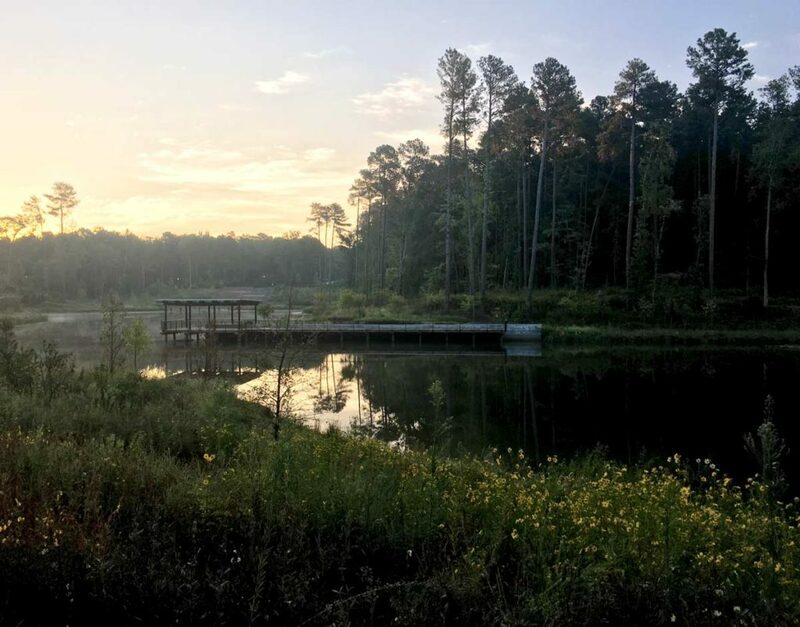 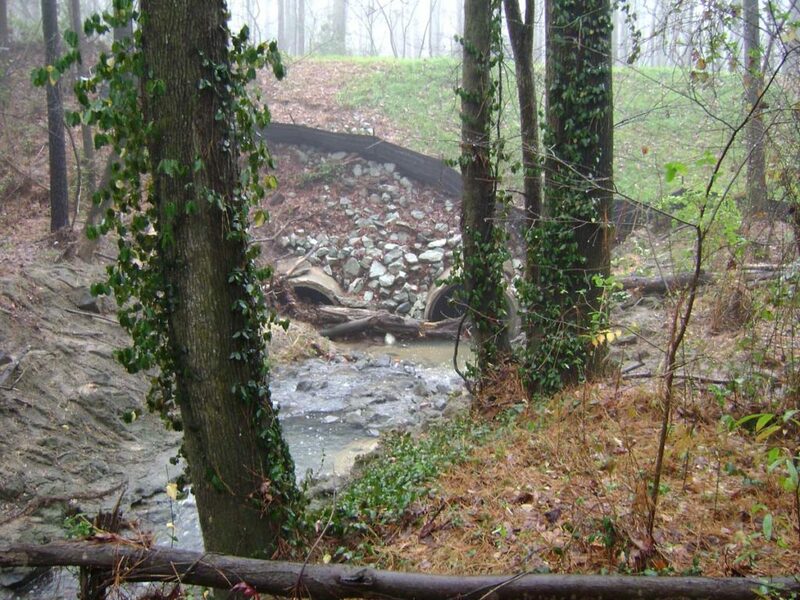 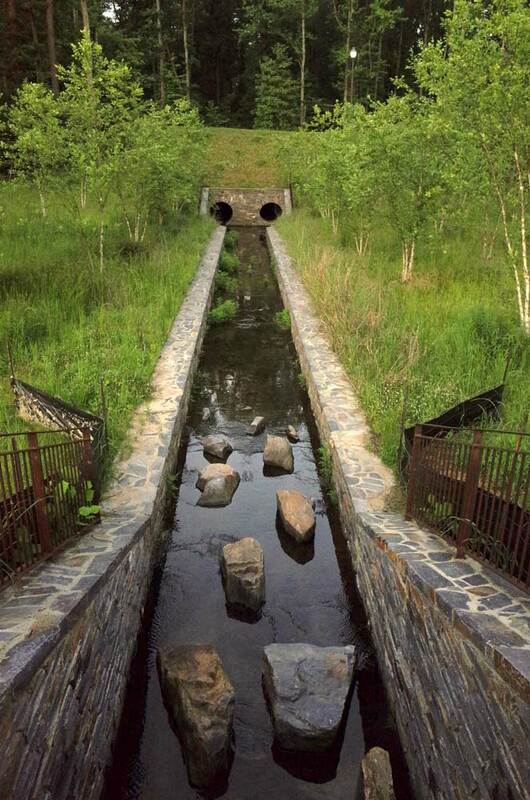 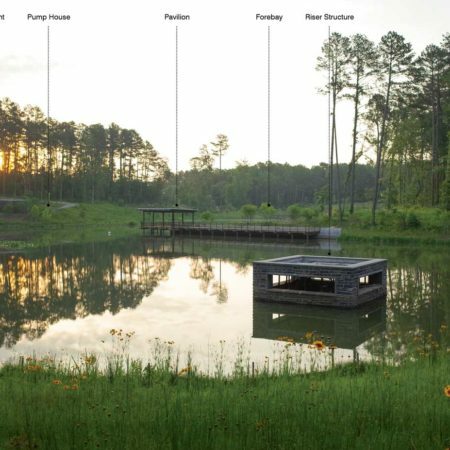 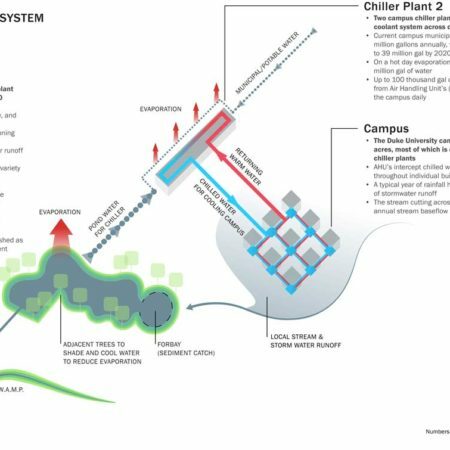 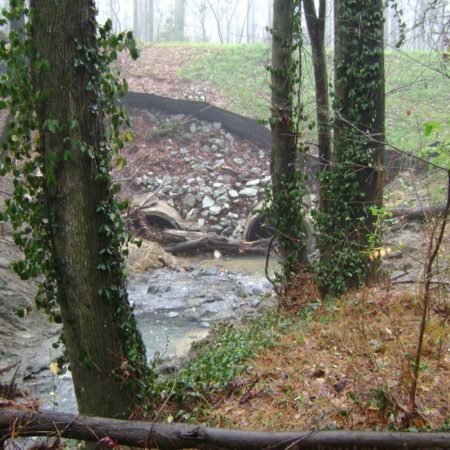 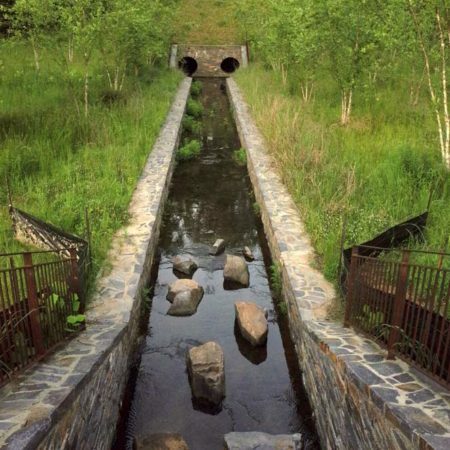 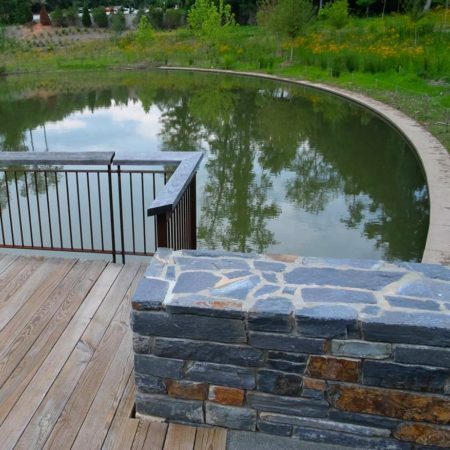 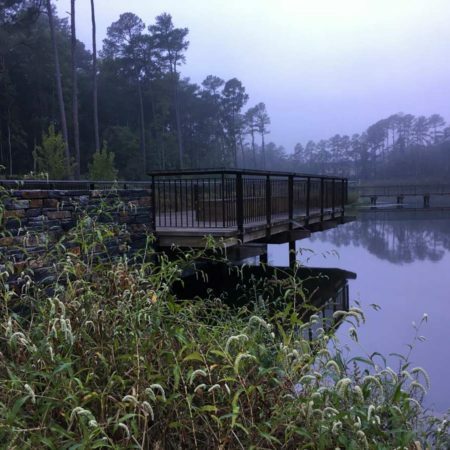 Following a significant drought, Duke University engaged the Landscape Architect to design a stormwater management pond to provide non-potable water to one of its chiller plants and reduce its reliance on municipal supplies. 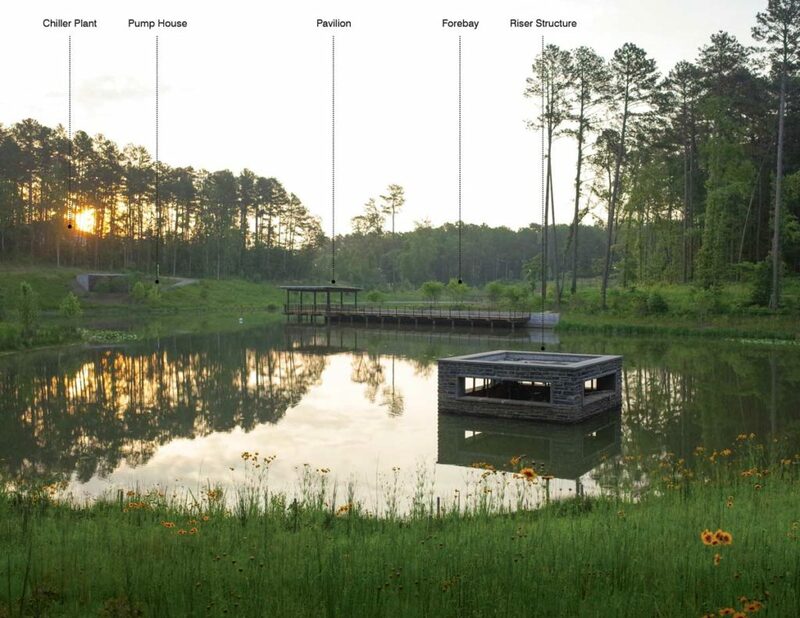 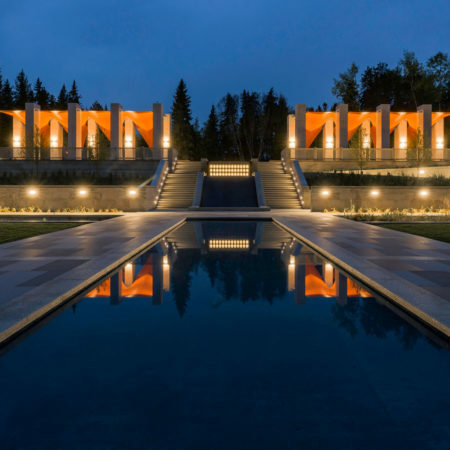 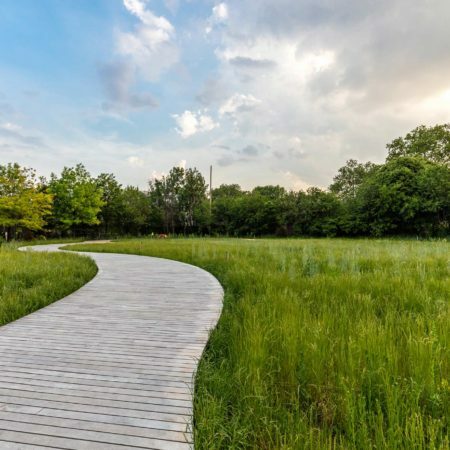 The Design Team recognized the potential to add functionality to the infrastructure system by creating a landscape amenity that also provides cultural, pedagogical, and ecological services. 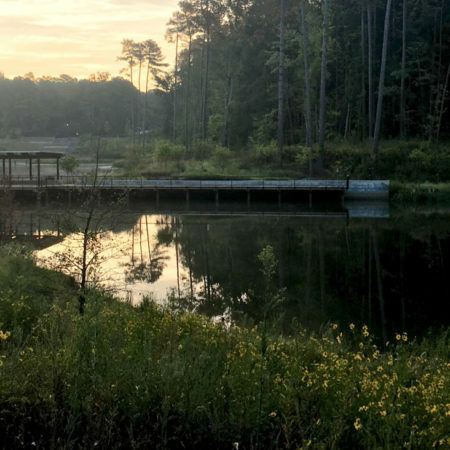 The water reclamation pond ultimately feeds into one of America’s most endangered rivers and plays an important role in cleaning stormwater before slowly releasing it downstream. 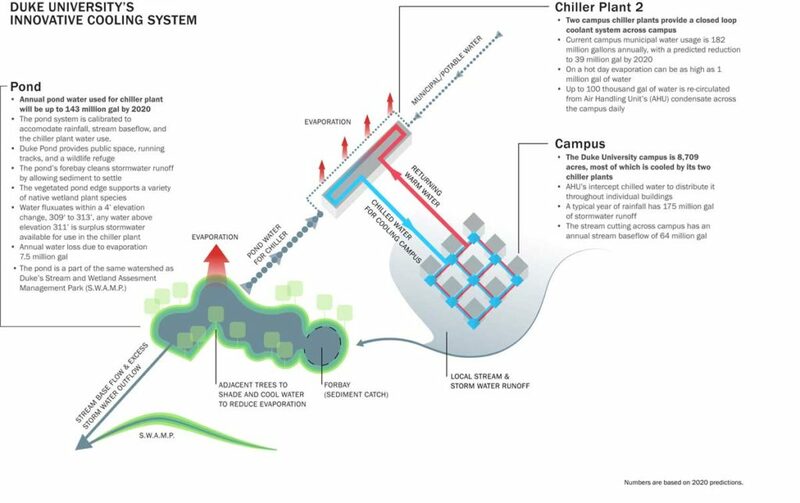 The pond system captures stormwater runoff from 265 campus acres, saving up to 100 million gallons of water annually. 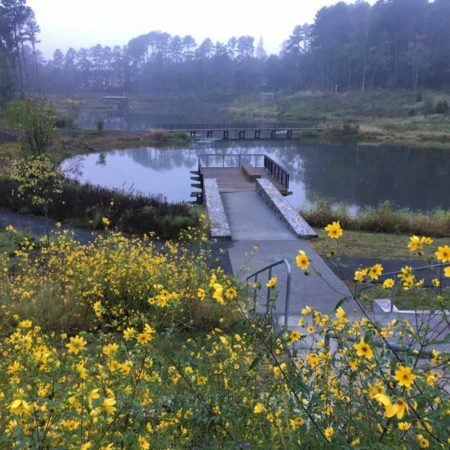 Sediment settles in the forebay, while plants selected specifically for filtration further remove contaminants, improve water quality, and create wildlife habitat. 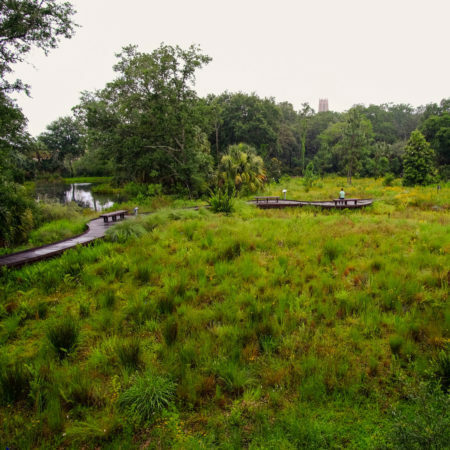 The Design Team created a lush, vegetated edge with trees, shrubs, and over 40 herbaceous plant species (emergent, wetland, and upland) which respond to fluctuations in the water level depending on rainfall and campus demand. 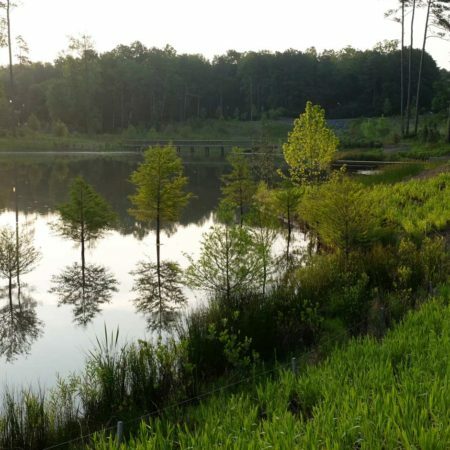 These plants tolerate both hot, dry summers and soaking wet conditions. 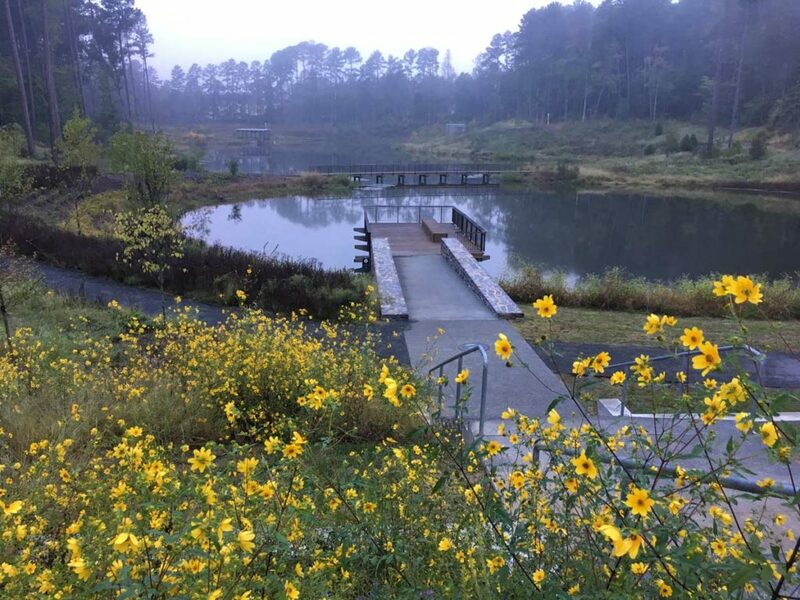 By expanding wildlife habitat, the new pond has become a model for biodiversity, with numerous species of birds, insects, fish, and mammals adding life to what had previously been an eroded and unhealthy landscape. 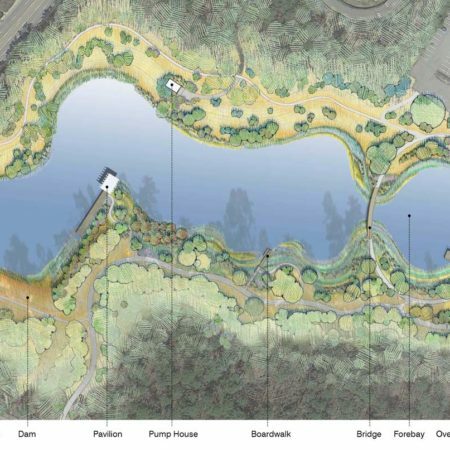 The landscape design fulfilled objectives from the original Olmsted Bros. campus master plan, connected the pond to the campus community and maximized its potential use as both a recreational and educational amenity. 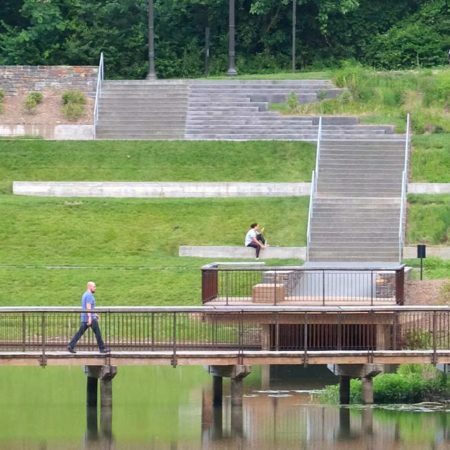 A major path through the site is graded to ensure universal accessibility and facilitates a strong link to the heart of the campus for cyclists and pedestrians. 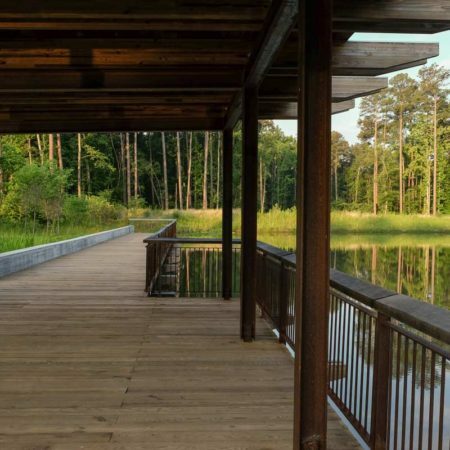 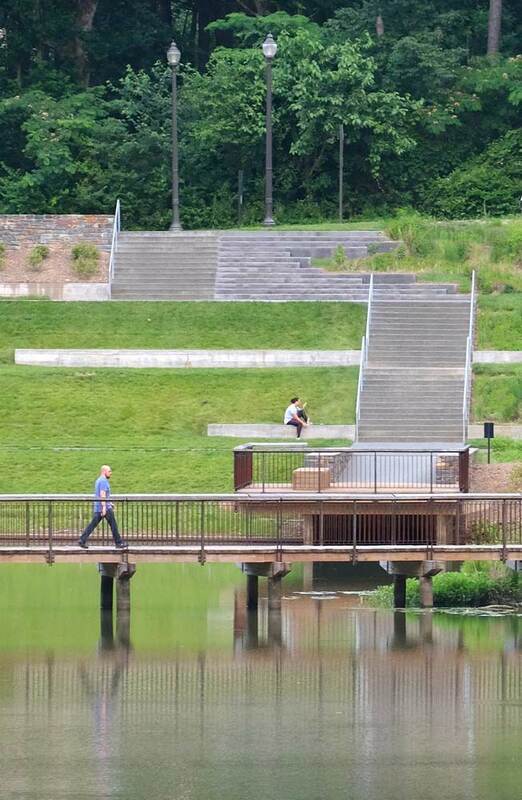 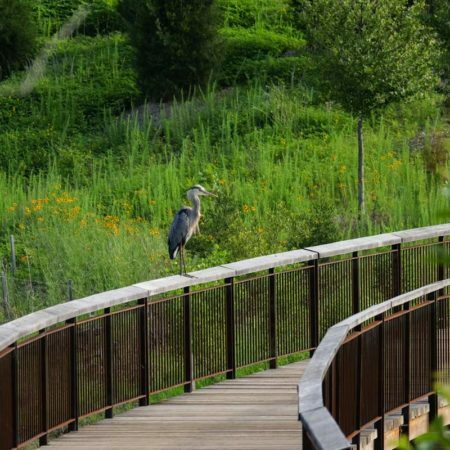 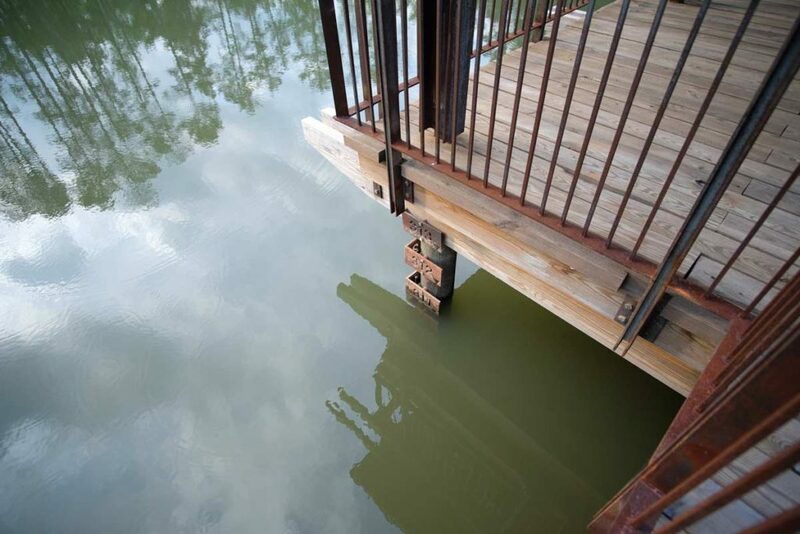 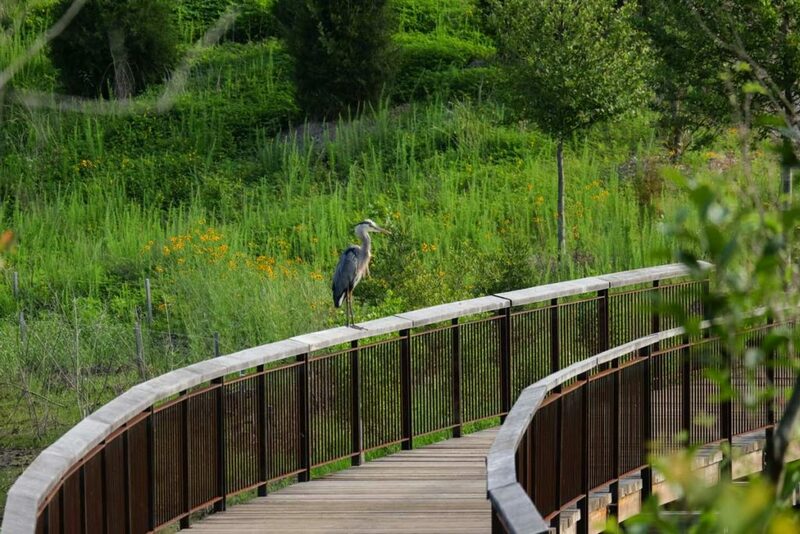 The pond offers diverse opportunities to interact with the landscape and water, including a pavilion, boardwalk, nearly mile of paths, an amphitheater with lawn seating, overlook, and bridge. 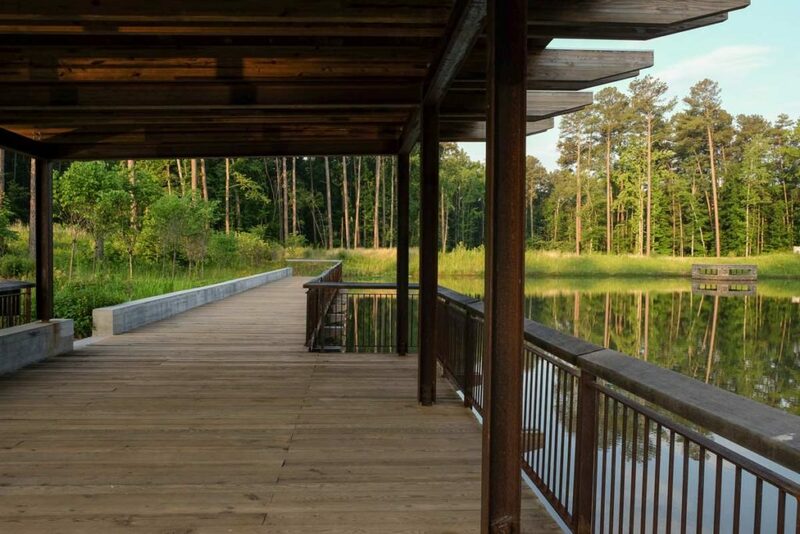 Elevation markers on the edge of the pavilion provide visitors the opportunity to note the fluctuation of water during massive rain events or dry periods. 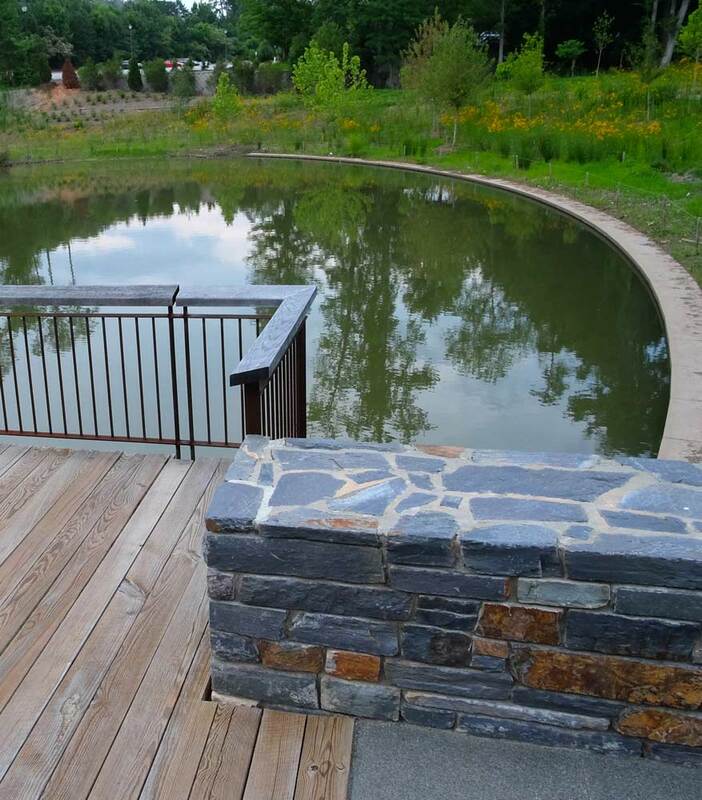 The site is a place of respite for students, faculty, and staff who use the pond to study or have a quiet moment outside. 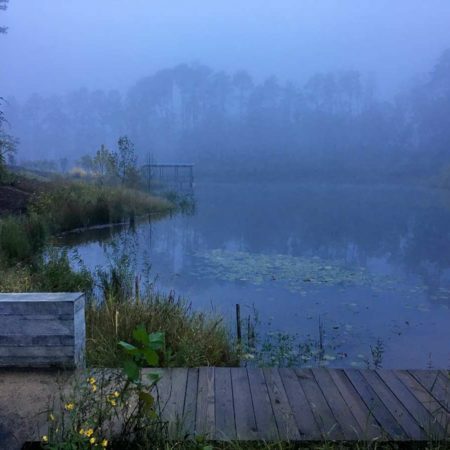 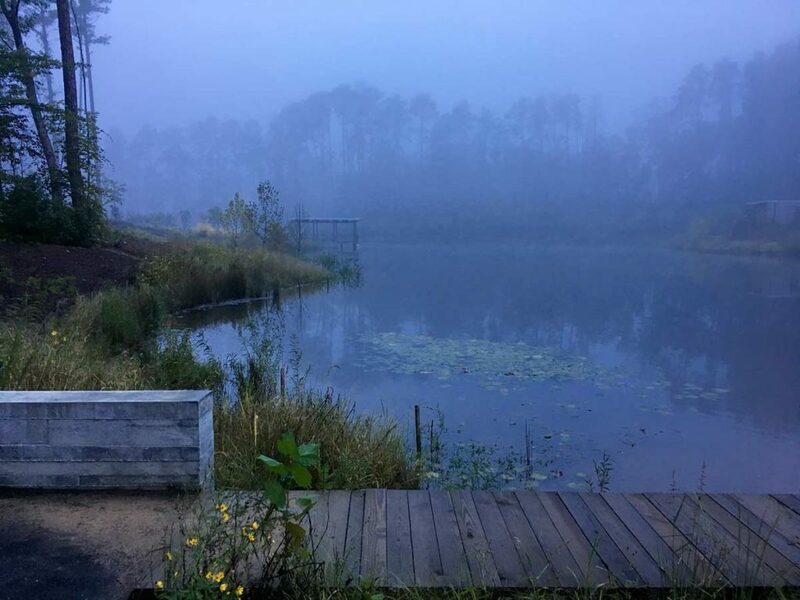 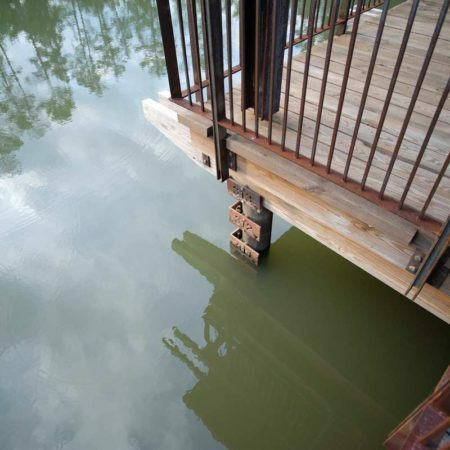 The Nichols School of the Environment monitors the functionality of the pond, and has revealed a 50% reduction in phosphorus and nitrogen in the water, and faculty and students are already using it for ongoing research projects. 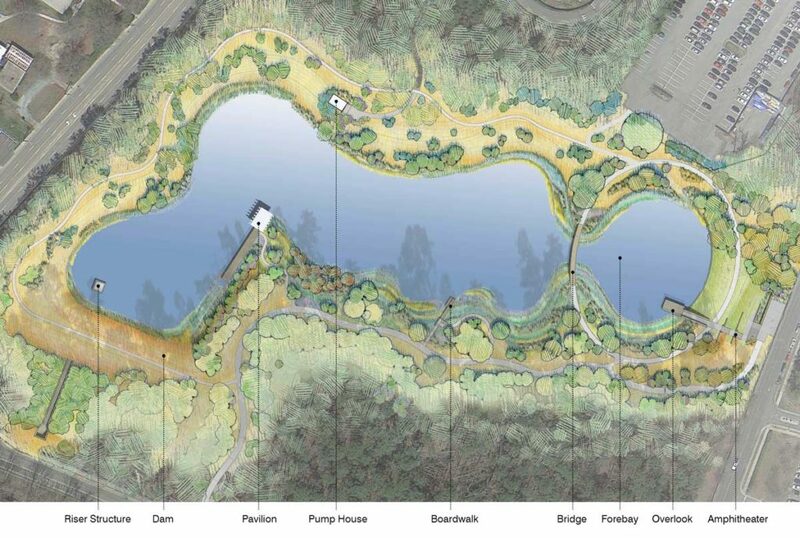 The pond has become a model of multifunctional infrastructure frequently cited by engineers and designers from other municipalities and universities.